New Item! Expected to Ship 06-22-2019. 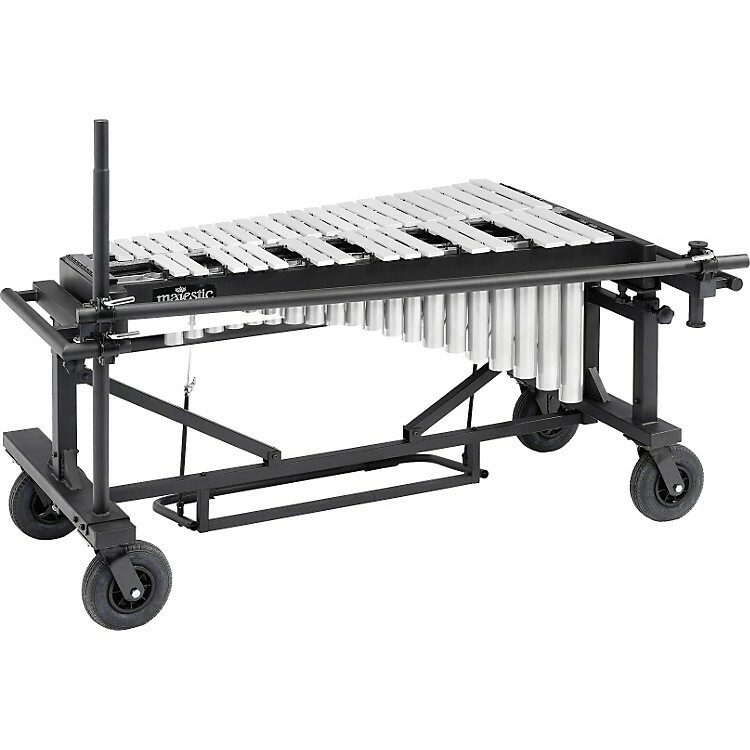 The motorless version of the V1530S silver wide-bar Quantum vibraphone. Features 3 octaves of precision-tuned aluminum alloy bars with four graduations from 2-1/4" to 1-1/2" bar widths. The rugged Majestic Quantum field frame offers the ultimate in flexible mounting options and pneumatic cylinder assisted height adjustment.